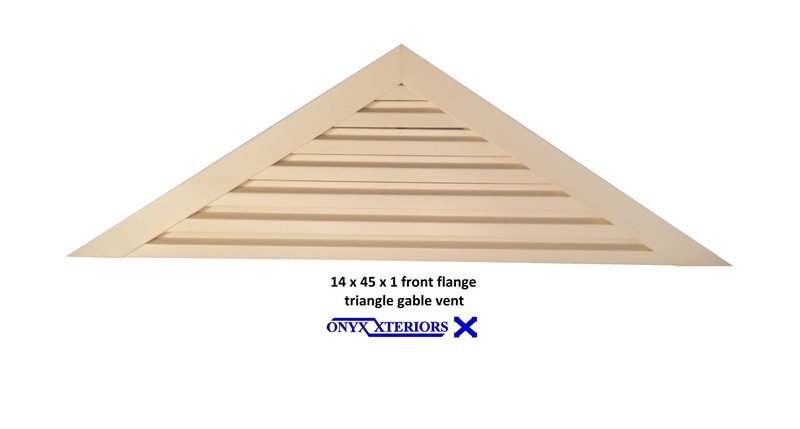 Find the right triangle gable vent for your home project at Onyx Xteriors and ensure DIY success. Gable vents are a must-have for every home, and you can feel relieved once your home is breathing properly. 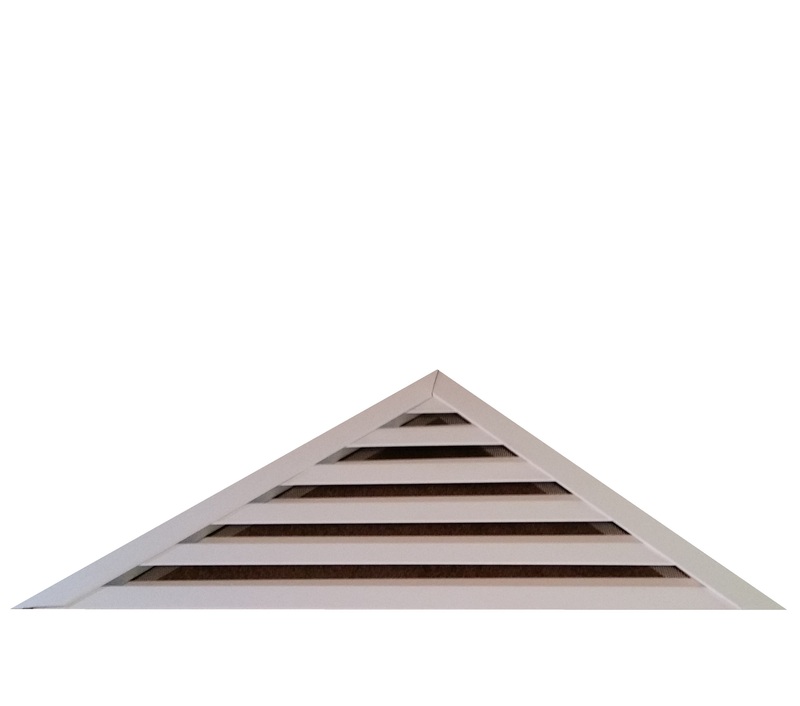 Triangle Gable Vents, shop the largest selection of triangular vents and endless options for different installs. This gable vent department of Onyx Xteriors provides triangle with flanges, colors, depths and sizes for every need. Since a triangle has 3 sides, some think they need to measure all three side lengths. Nope. Just the triangle height and width. These two measures allow a 2D gable vent and to make it 3D, we just add a depth. Even though the common gable vent depths are listed, we do offer custom depths for all our gable vents. This custom option allows for unlimited gable vent options whether a custom triangle gable vent or another shape. Most think custom triangle gable vents require more time and might be a month or two to get it. With us, all deliveries are within 1 to 2 weeks to keep your job on schedule. Custom gable vents just means you have requested something not listed. Not added or delayed delivery. Another added advantage to these triangle vents, 100% aluminum. The frame, louvers, even the pop rivets are aluminum for a very durable triangle gable vent.